Jan. 7, 2014. 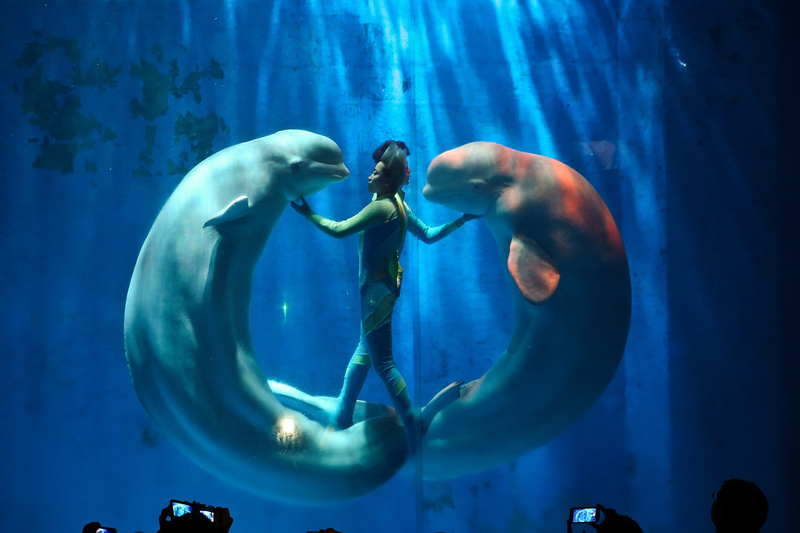 White whales and their trainers present a show for visitors at Harbin Pole Aquarium in Harbin, China. Image Source: Lintao Zhang—Getty Images via Time. For many today, this is a secular age. Yet everywhere, we base our actions on belief. Popular investment in the system depends on faith. Every time you get on an airplane, you are participating in a culture of belief; you are trusting the credentials, training and abilities of the pilot and co-pilot; the company which hired them and which maintains the airplane; and the company which built the machine in the first place. 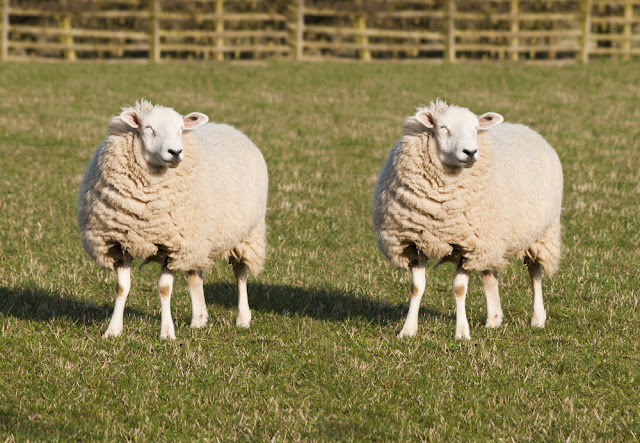 You have to believe that they will collectively see you through to the arrivals gate at the other end of your journey. You are placing your life in their hands for a few precious hours. To travel by air, you have to believe you will survive. Faith transmits an individual's power into the system. On the basis of belief, we offer our ability to work, think and function - the whole span of a personal lifetime - to every facet of larger society. Institutions and governments demand the same trust as an airline, but extend the period of trust across decades. In exchange for accepting these structures, as well as cultural and sub-cultural products marketed as mass and niche norms, we develop relationships and communities which support us. We participate in economies which should support us. The political, economic, social, institutional, business and governmental systems are worth as much faith as we give them. And if we stop believing in them, their power dwindles down, sometimes to nothing, and migrates elsewhere. Earthcoins launched on 20 December 2013. The earthcoin motto is: "In crypto we trust." Image Source: eBay. Bitcoin is the leading crypto-currency in the world. The currency was first generated by a mysterious group or individual named Satoshi Nakamoto in 2009. It is a cryptocurrency, so-called because it uses cryptography to control the creation and transfer of money. Users send payments by broadcasting digitally signed messages to the network. Participants known as miners verify and timestamp transactions into a shared public database called the block chain, for which they are rewarded with transaction fees and newly minted bitcoins. The only one that supports the darknet with i2p capability. Join the ranks of the underground forces and start saving up your Anoncoin. ... Why does this project exist? We want to make sure cryptocurrency will still be available for use and trade within the darknets even in the event that the central banks decide to crack down on the bitcoin buisness on a large scale. Second generation crypto-currencies include Protoshares, eMunie, Mastercoin, MintChip, DYM and Opencoin. What are these things worth in real world currency terms? Look here. Reihan Salam's Vice interview with Jerry Brito, a senior research fellow at George Mason University's Mercatus Center and director of its Technology Policy Program, is posted below the jump. For more explanations on what these developments mean for society and the economy, see this article at Wired and this podcast interview, in which GoldMoney's Andy Duncan talks to Jon Matonis. See the original bitcoin whitepaper by bitcoin designer 'Satoshi Nakamoto' here and a chat with bitcoin investors, the Winklevoss twins, here. Litecoin mining contract on eBay. The bitcoin motto is Vires in Numeris ('strength in numbers') and appears here on a litecoin image. Image Source: eBay. Above the jump: images from listings related to bitcoin and other crypto-currencies on eBay; the eBay listings were current at the time of writing this blog post. EBay's listings include many contracts for crypto-currency mining and bits of hardware necessary to do currency mining. 150 netcoin, physical wallet. Image Source: eBay. Our goal isn't to compete, as much as compliment, create balance, and not divert into launching 9 more coins because we can. Instead, we'd like to see what kind of actual substance and value we can create with a coin that represents us all. No matter what race, age, ethnicity, we're all a part of this beautiful planet, and who knows maybe this tiny lil' grass roots idea might be enough to unite some/many of us! EarthCoin is a new generation scrypt coin that is a descendant of Litecoin. Like Litecoin - it uses scrypt as a proof of work scheme. EarthCoin uses a 365 day period. It will start with 10,000 coins per block, and it varies in a sine curve with amplitude of 2,000, with a period of one year (like the Earth moving around the Sun). Then we reverse that - to climb and return to 10,000 coins per block at one year, before finally cutting the payout in half. This is where Earthcoin attempts to differentiate itself, somewhat. As humans, we’re all used to working in different seasons.. now crypto-coin mining is no different. The block rewards system is modeled after the seasonal rotation of the Earth moving around the sun.. an interesting concept, if you’re into mining. We have all been poisoned for over 100 years and suffer from the same affliction, whether we have been fortunate to live in luxury or poverty, the disease has infected all of us. Some can live with the disease for a lifetime through fortune, some do not get to live at all. Some of us can eat food each and every day, some of us do not get to eat at all. Imagine removing regulatory bodies whose sole purpose was to ensure the integrity of a store of value based on a set of standards and measurements through the checks and balances of fallible men and instead giving that responsibility to millions of upon millions of participants plugged into an automated network, leaving standardization and confirmation of value up to perfect algorithms, removed of the human condition. Imagine waking up each and every day with naturally just a little bit more money than you had yesterday. Imagine how cities would be designed sustainably and how a man’s efforts in Bangladesh would be rewarded with the same incentive as a man in the United States. Imagine how loans would be discouraged and instead work effort and product would become more valuable as humanity expanded. Imagine travelling anywhere in the World to buy anything from anyone without middlemen transaction fees or conversions. Imagine storing your currency on your password protected cell phone where you are able to buy anything anywhere at anytime, simply by scanning your QR-Code. Imagine where our efforts were all measured equally, where freedom was for everyone, and where someone had the foresight to plan for the generations to come. You have been taught not to imagine this. You have been told it is not possible. You have been told this by the very people who manage and control the fractional reserve, fiat system. We assure you it is real. We assure you EarthCoin is real. It is already here. The roadmap to be set forth soon for EarthCoin is nothing short of inspirational and revolutionary. Take back the planet. This isn’t just about paying for things in EarthCoins, this is a about a revolution! Bitcoin (BTC) Paper Wallet with 0.1BTC balance. Image Source: eBay. 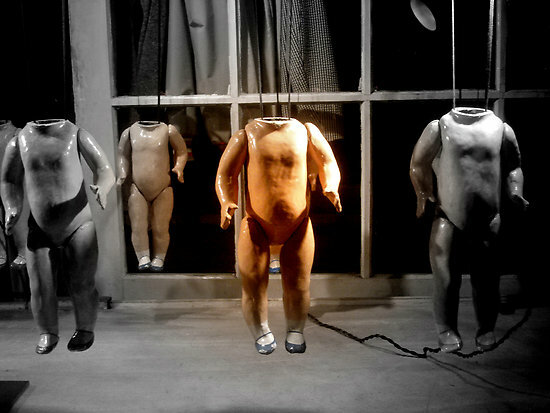 The Doll Factory (At Night) by Michael J Armijo. Image Source: RedBubble. The country is spending vast amounts on research - so much that one leading British scientist says China is on course to overtake the US in 30-40 years' time. [BBC] Science editor David Shukman was given rare access to one key area of Chinese research - a laboratory which creates around 500 cloned animals per year. Critics of anti-nuclear critics take to the Web: Fukushima worries are being labeled as hoaxes. 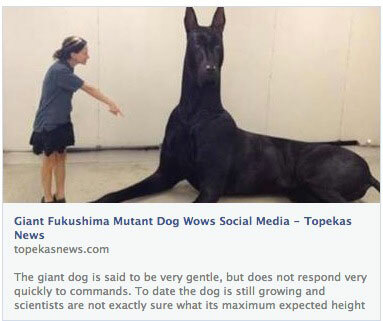 Image Source: Hoax-Slayer. On 12 March, physicist Ken Bergeron stated: "we're in uncharted territory, we're in a land where probability says we shouldn't be." As the crisis unfolded, the HuffPo announced that there was no word in the Nuclear Regulatory Commission's glossary for 'meltdown.' In a way, that lack of vocabulary has characterized the whole story, which is a miasma of confused information. About Japan: the problem is that the reactor uses "dirty" fuel. It is a combination of plutonium and uranium (MOX). I suspect that the old fuel rods have bean spread out due to the explosion and the surrounding area is contaminated with plutonium which means you can never return to this place again. It is like a new Tchernobyl. Personally, I am not surprised that the authority has not informed people about this. ... Why is this not on the front page of every single newspaper in the world? Why are official agencies not measuring from many places around the world and reporting on what is going on in terms of contamination every single day since this disaster happened? Radioactivity has been being released now for almost two full months! Even small amounts when released continuously, and in fact especially continuous exposure to small amounts of radioactivity, can cause all kinds of increases in cancers. While foreign media have scrambled to gather information about the Fukushima Reactor, they have been denied access to the direct information provided by the government and one consequence of this is that "rumor-rife news has been broadcast overseas." In fact, access has been limited in two ways. First, while Chief Cabinet Secretary Edano Yukio holds twice daily press conferences for representatives of the big Japanese media, registered representatives of freelance and internet media are limited to a single press conference per week. Second, in contrast to Japanese media who are briefed regularly by Edano and periodically by Prime Miniser Kan, foreign media are briefed exclusively by administrative staff. Uesugi also notes that at TEPCO press conferences, which are now being held at company headquarters, foreign correspondents and Japanese freelancers regularly ask probing questions while mainstream journalists simply record and report company statements reiterating that the situation is basically under control and there is nothing to worry about. One reason for this, Uesugi suggests, is that TEPCO, a giant media sponsor, has an annual 20 billion yen advertising budget. Fukushima became a disastrous test of the Web's credibility as an unconventional media source when compared to the MSM. What Fukushima shows is that Japanese and nuclear authorities did not even need to lie in order to discredit their critics. All they needed to do was release little or no information, or release it too slowly. By creating an information vacuum, they opened the door to endless speculation, which is wonderfully self-defeating, because it can all be dismissed as speculation, as hoaxes, as ignorant fear-mongering. When guesses and speculation about what has happened at Fukushima prove to be wrong - or are declared to be simply unproven - then a false argument is constructed, whereby any truths about the dangers of the Japanese nuclear disaster can also be tossed out. Genuinely serious concerns, like the employment of homeless people in the clean up, are drowned out or dismissed on the grounds that there is 'not enough information.' And to worry about things when there is 'not enough information' is to become a crank who makes things up. It is a locked circle of anti-logic. Fukushima showed that the Web is not the bastion of free speech and unvarnished truth which its most idealistic supporters want and need it to be. Rather, the Internet is vulnerable to competing cultures of truth, in which data-driven arguments defend findings and counter-findings. Sub-cultures sprout up to defend different hierarchies of data-believability. But how can one get to the core, or corium, of truth in all of this? Drill tower of the main borehole at Bortum-Erbendorf, Germany. Image Source: W.J.Pilsak/wikimedia commons via Discover. Drilling of the KTB borehole began in the late 1980s in a region of southern Germany called the Zone von Erbendorf-Vohenstrauß—the line where two ancient landmasses once merged to become the supercontinent Pangaea. The geology was bound to be interesting here, but even geologists were surprised by what they saw ... shifting seismic plates, boiling hydrogen, and temperatures reaching 600 degrees Fahrenheit … . The deep-drilling experiment yielded huge surprises about the structure of the earth, including maps of rock temperature, new information about seismic pressure, and beautiful models that show layers of rock wrapped around each other like ribbons. The Russians drilled even deeper at the Kola Superdeep Borehole from 1970 to 1989; they eventually reached a depth of 40,230 feet, but then their funding ran out. This record-breaking borehole is no longer accessible. The Russians' Kola Superdeep Borehole cap, welded shut, August 2012. Image Source: Wiki. The German KTB borehole is the deepest artificial accessible point in the world. There are deeper, inaccessible oil wells. The natural Mariana Trench is slightly deeper than the German borehole. The Trench was explored by Canadian film director James Cameron in an exploratory vessel, Deepsea Challenger, in 2012. Incidentally, when Cameron reached the bottom of the ocean in this dangerous and daring exercise, his phone rang. His wife called to check up on him. He later joked that once a man gets married, he might think he's free when he goes off to explore the limits of the world, but he can never escape his wife. L3 provided the communication system for this extraordinary phone call. In the case of the German borehole, we have a different audio sample. 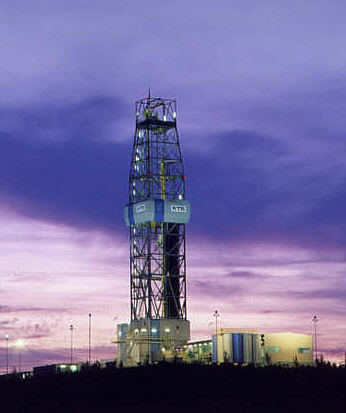 Drilling at the German KTB borehole stopped because, as in the Russian case, the funding ran out. Before the project ended, Dutch Gen Y artist Lotte Geeven recorded sounds at the base of the borehole, which you can hear below. Audio Source: Lotte Geeven via Gizmodo via Discover Magazine. These moans aren't all that unique from the sounds beneath the boreholes, but they feel different to our human ears. Geoff Manaugh describes them as a "melancholic howl," while [sound artist Mark] Bain ... says they are "a bell-like alarm denoting histories in the making." Either way, we have our own ideas about what these cracks and grumbles articulate about the secret world below our feet. See a report on the geological discoveries made in relation to this experiment, here. Deep drilling continues in the international project, the Integrated Ocean Drilling Program and its successor, the International Ocean Discovery Program. See all my posts on Millennial Extremes.